We received ten pallets of makeup from E.L.F. Cosmetics in October. For our new shipment in May, (you can read all about the May shipment details HERE) the folks at E.L.F. were kind enough to arrange for the pallets to be delivered to us directly. We were so thankful that they were able to do that because it saved us from having to come up with the funds (which we don’t have) to rent a huge moving van. We were thrilled when the pallets arrived. 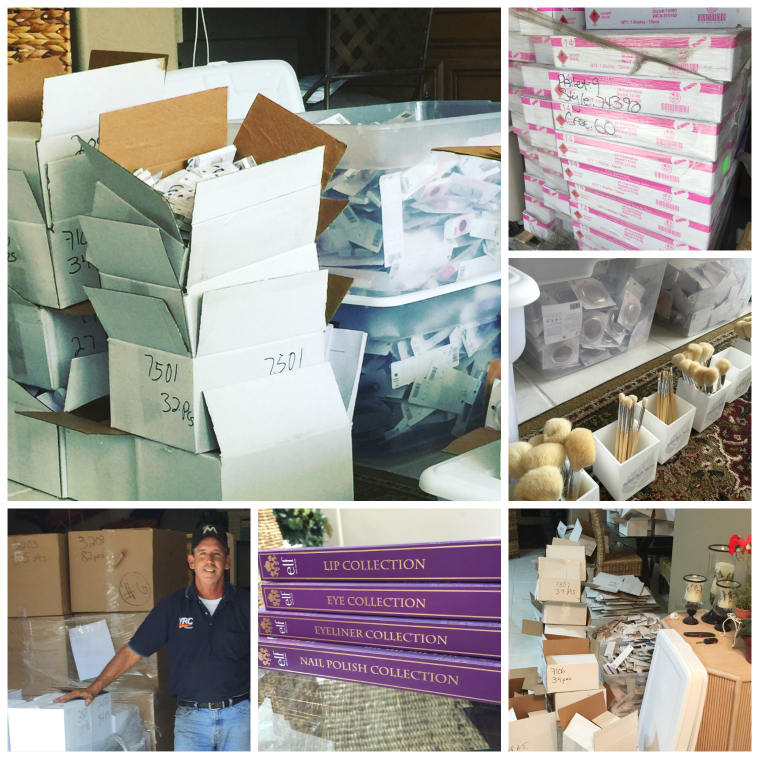 It was like Christmas when we received the donated cosmetics, because we had no idea what would be in the shipment! There were several boxes but two different themes. 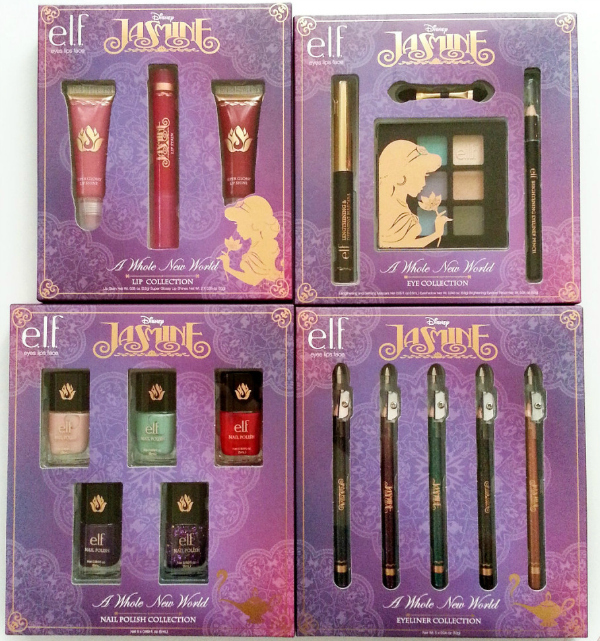 One theme was Jasmine cosmetics geared to young girls and teenagers. The second theme included individual assorted makeup items along with makeup bags that we could assemble into kits for women. How exciting, right?! I love all of the colors and the packaging. Imagine feeling so alone and scared and having no hope and then receiving this fun set of makeup. If it puts a smile on just one girl’s face, Cosmetics for a Cause has done its job. Here is a look at the items that were in the white boxes shown in the collage above. In addition to the makeup, we were so, so thrilled to also receive enough makeup bags to assemble several hundred kits. Luckily, we had several makeup brush kits left over from our October shipment to make sure the makuep bags were filed with everthing a woman needs to apply her makeup. There was even nail polish, too. eWillow.com Greeting Cards uses a portion of the proceeds from each sale to support Cosmetics for a Cause.